Basically, you want multiple ways to be able to get in touch with them. People move, change jobs, and change phone numbers, but they rarely change all of their contact information at the same time. In the event that you have to pursue legal action, opposing counsel will scrutinize your witness’s statement and use any inaccuracies or inconsistencies to discredit their testimony. As a result, it’s best if you get your witness to give you a recorded statement in their own words. Unfortunately, your witness may not be willing to devote much time to this, and so might not want to carefully write down what they saw happen. They may want to just give you a verbal statement and let you jot down some notes. However, this is not a good solution – you could easily make a mistake and wind up putting words into your witness’s mouth. If your witness seems reluctant to provide a written statement, ask if they would be willing to record a verbal statement. There are a number of apps available for smartphones that can easily record a voice memo and make it shareable. Just make sure that the file is backed up to the cloud or another computer. Details concerning the other driver’s behavior – did they appear to be distracted? Were they speeding? Of course, you want them to be as detailed as possible about what happened at the moment the accident occured – who had the right of way, who entered the intersection against the light, and that sort of thing. 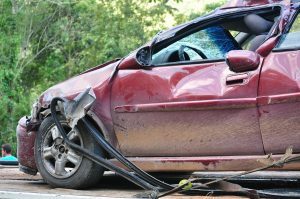 If you’ve been injured in a car accident, you don’t need to pursue your claim alone. The attorneys at Slappey & Sadd have the experience to help you get the compensation you deserve. We can help you assemble the necessary evidence, including the information provided by your witnesses. If you would like a free consultation, call us at 888-474-9616 or contact us online to see how we can help.